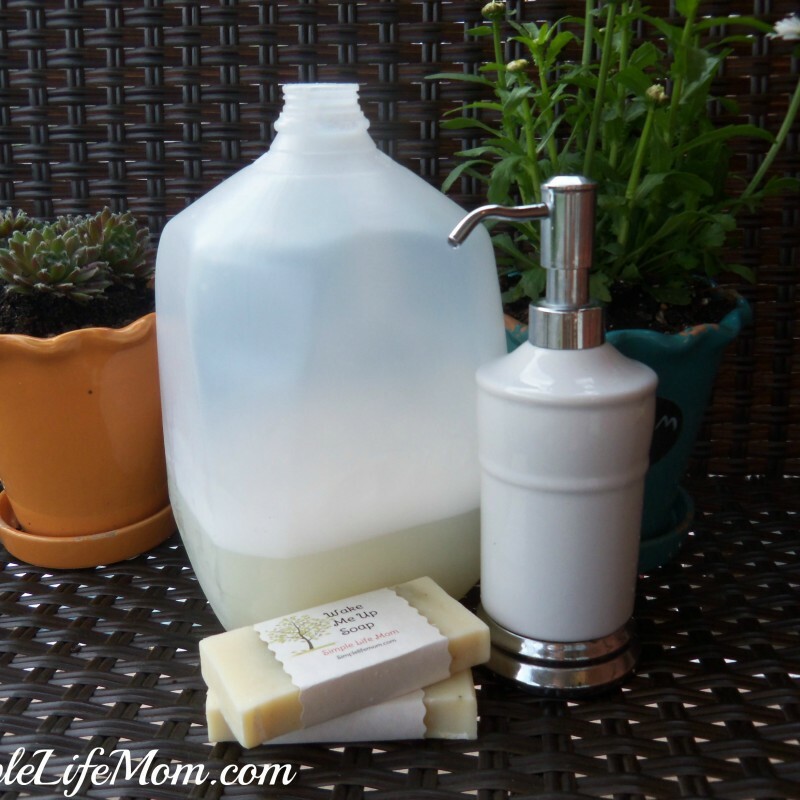 DIY Liquid Hand Soap is an easy thing to make and has a lot of advantages. For starters, it’s very frugal! 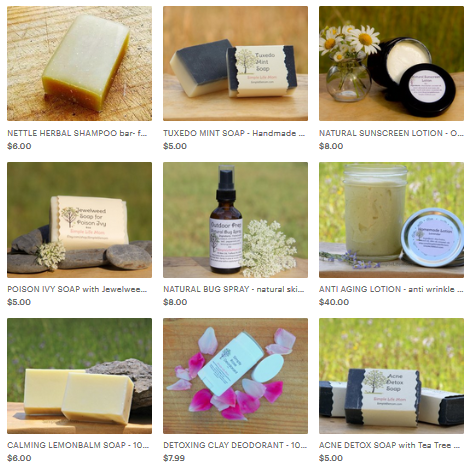 I make my own soap (For Recipes, go Here), so there is very little cost to one or two bars. It ends up being tons cheaper than buying it from the store. That’s for sure! It’s also super easy to make your own. Not to mention the pure, non-toxic, smell how you want advantage! It’s also a wonderful thing to have with little kids. It’s a luxury that I like, because it seems to be cleaner than the dirty soap bars that I find sitting in the sink (if you have little kids you’ll know what I mean). You only need a few ingredients! Grate hand soap and slowly add to boiling water, stirring continuously. Mix with a stick or hand mixer until fully incorporated. Allow to cool, then stir in essential oils of choice. Store in gallon jug until needed in dispensers. The first thing I learned when trying to make liquid hand soap is to not use Castile (olive oil) soap. The reason for this is that Castile soap is extremely soft and will make a very watery hand soap. That is fine, but most people like to have a hand soap that’s a bit thicker. Second, the temperature of your home makes a big difference. If your soap is too watery, let it set in a cool place for 2 weeks and check again. Mine almost always takes a week for the soap molecules to bind and make a nice thick soap. Third, you can use less soap bars. It will be, just a lot thinner. I like to use four bars for a thicker hand soap. Such a simple recipe! Thank you for sharing. Thanks for the easy-to-follow instructions! Isn’t it awesome to make your own and so many oils out there to make your own scents. Love the simple instructions! found this blog on the juggling real food for real life link up and I LOVE it. We love making our own detergent and I’ve been looking for a recipe for handsoap. Bookmarking this page. Thanks for posting! It’s great to know this soap is so easy to make. I’ve pinned your tutorial and can’t wait to try it! I’m having a real hard time with store bought liquid soap lately because it seems to irritate my skin. Love this great alternative! Thanks so much for the easy solution. Visiting from Frugal Crafty Home Blog Hop – have a great Monday. What a great idea! Liquid soap is so much easier for my kiddos. Thanks for your homeacre blog hop submission 🙂 Feel free to stop by this week and submit another! Wow! That is really simple! I’ll need to do that. I just bought some hand soap, but like you, the kids get it dirty quickly, plus I don’t like scraping off the dried soap from the soap dish. I just made a recipe similar to this last week! It turned out great. The added glycerine works so well for keeping the soap from drying my skin. This is one of the more simpler recipes I have seen. 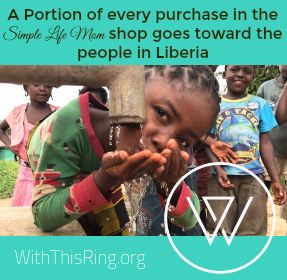 I need to get busy, I am tired of buying hand soap, even if a refill just is a few dollars. This is so much better! I really need to try this, thanks for the straightforward instructions! Thank you for sharing with the Clever Chicks Blog hop, I’ll be featuring you, so please feel free to grab my Featured Button! Have a great week! I made a batch of your crockpot soap (wonderful), and used those for this recipe… The consistency is rather watery, no matter how many times I go back and add more soap to it – it gets more concentrated. But doesn’t thicken. It lathered well from the beginning, just watery…any suggestions? Add more glycerin. It will be what makes it thicker. Any suggestions on how I should go about diluting my liquid solution, and how much glycerin I should add? I could provide more specifics, if you’d like -just let me know. Would it work in a foam dispenser? I’m not sure exactly why yours is staying so watery….It never does get as thick as store bought because it doesn’t have the same thickeners, but it should thicken more than what you are experiencing. What I would suggest is to heat it in a large pot, double the amount of water (so if you have one gallon, add one more). When warm and combined well, pour into two gallon jugs and seal. THEN, get a cheap soap dispenser that foams, dump the soap in it, or use it if your husband would rather you to 😉 and use it from now on with your homemade soap. It will foam and seem “thick” to those not used to thinner hand soap. I hope that is a workable solution. Thanks so much to all of you for your help 🙂 I’m working on diluting my solution, now, adding water and glycerin…we’ll see how it comes out. Hi Kelly. First I’d like to say I love your blog. My question is, what bar of soap would you recommend that’s a more natural one since you say not to use castile soap? Any hard bar with natural ingredients. A good natural lye bar will do. It’s just that the castille bar doesn’t allow it to thicken for some reason. I’ve made the recipe. But my hand soap is very heavy. What can I do to solve this problem? You can add water. The consistency will vary depending on what soap bar you use. I used a beer soap with juniper berry once and it was like elementary way the molecules connected to one another. But every other bar I’ve used has been thinner, but perfect. Heat it if you need to and add a little water to thin it out if needed. Thank You for the recipe, I am going to try this for sure…..
First, thank you for this extremely easy recipe. I noted that there is no glycerin in the recipe, yet many comments mention it. Did you forget to add it in the recipe, or is it just something you guess at the amount? No, glycerin was mentioned in the discussion of possibly thickening the soap if it comes out thinner due to the fact that a more castille soap was used. I’ve been successful with this in thickening up my liquid soaps by blending in shea butter, salt & fine brown sugar. Per 1 c… start with 1/2tsp of brown sugar& salt…1 level tsp shea until it blends thick. Add more hydrolsol or castile if its too thick. LOVE YOUR SITE!!! I’m confused. 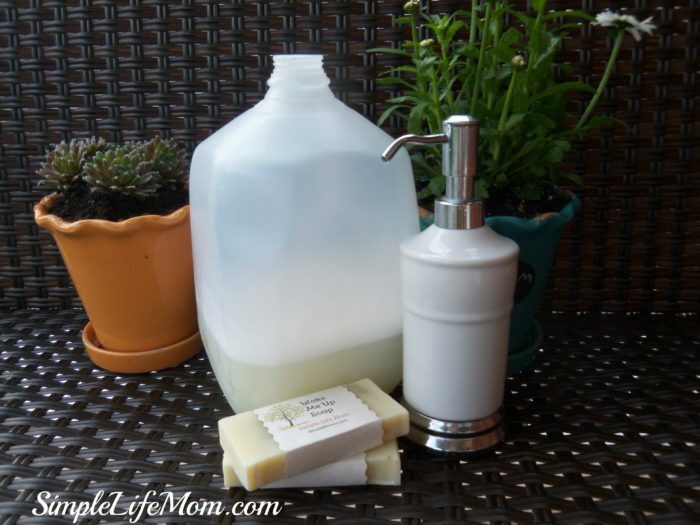 I hit the link to make your own liquid Castile soap and it took me to this liquid soap recipe. Is it the same recipe? 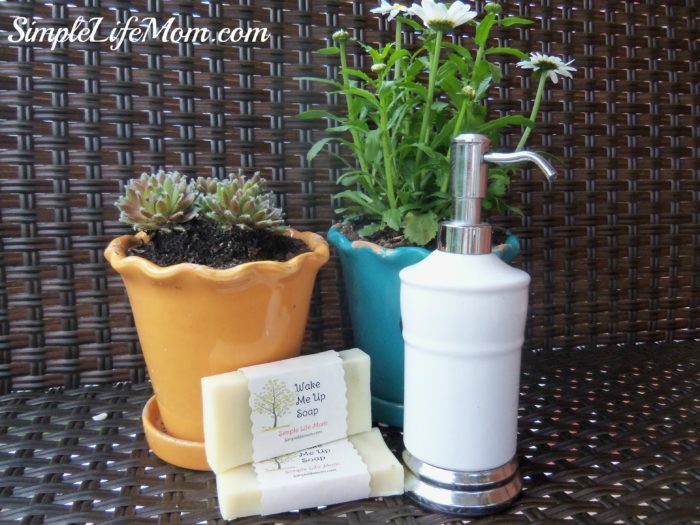 Yes, you can use this recipe to make your own Castile soap using your own olive oil soap bar. How long does this last? With water in it does it ever go bad? It will last a long time. I’ve never had any problems with it over years of use. Thank you so much, I love this! I just made mine, so it’s still watery, but I love it anyway. Question: could you use twice as many bars if you use Castile soap, for a thicker soap? Do you do something like this for dish soap? What eos do you use?